It’s Time to Savor Sarasota! If you’re a foodie – or simply someone who enjoys a good meal – and are in Sarasota, Florida, are you ever in luck! Yesterday kicked off two weeks of unbelievable culinary flavors and dining deals at more than an expected 45 restaurants throughout the Sarasota area. It’s Savor Sarasota Restaurant Week! Through June 14, the dishes are yours for the taking: three-course lunches for just $15, and $29 pre-fixe menus at some of the best restaurants found throughout the entire state of Florida. In fact, the Sarasota area boasts more Zagat-rated restaurants than anywhere else in the state! To see who’s participating, simply click here. Want to check out the chefs? Click here! A few weeks ago I was treated to a sneak peak – ummm, taste – at an event hosted by Visit Sarasota County, the organization that is also hosting the restaurant weeks, at the new Epicurean Hotelin Tampa. Four chefs created delectable bites to showcase some of what their menus will feature during Savor Sarasota, and no stomachs were left unfilled! 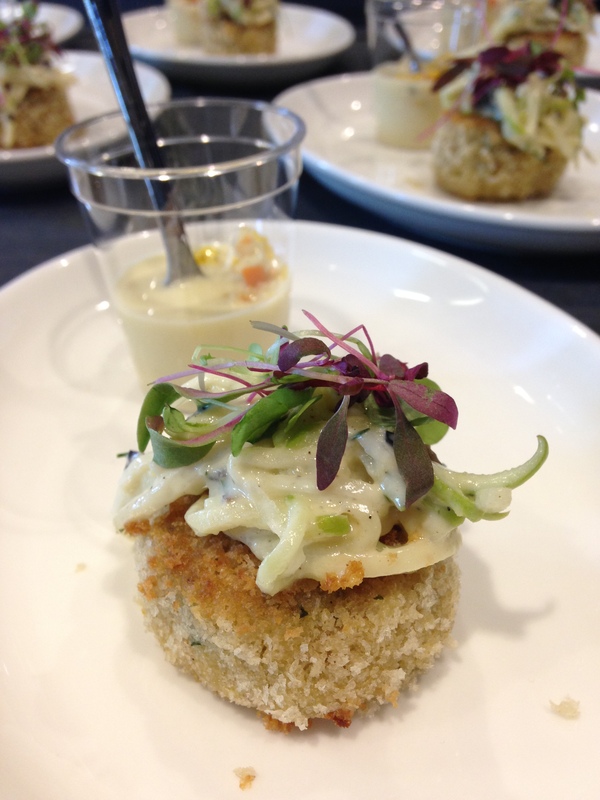 Chef James Baselici of Louies Modern offered a crab cake with celery root remoulade and a lemongrass corn gazpacho shooter. I may have gone back for seconds… or thirds! 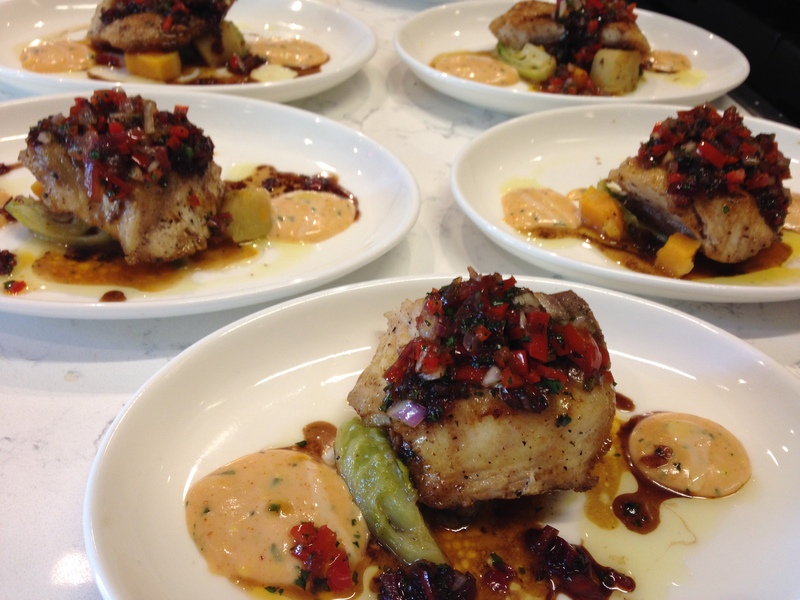 From Michael’s on East, Chef Jamil Pineda presented “Farm to Table” pan roasted Mote Sturgeon with a miso remoulade, butternut squash, Brussels sprouts and green apple hash served with roasted red pepper relish. So fresh! 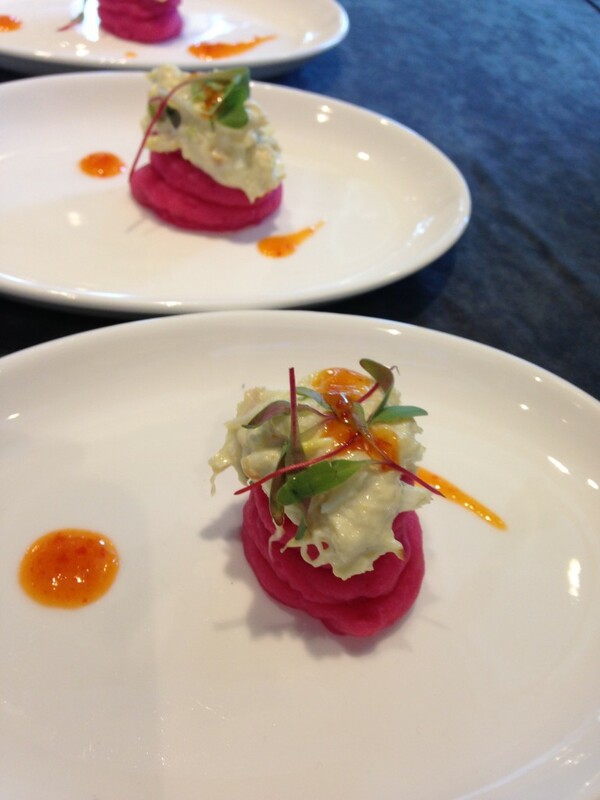 Chef Darwin Santa Maria of his own Darwin’s on 4th switched things up with a Beet Causa topped with jumbo lump crabmeat, avocado, aji Amarillo tartar and citrus sweet chili. I could’ve dived right in for more! 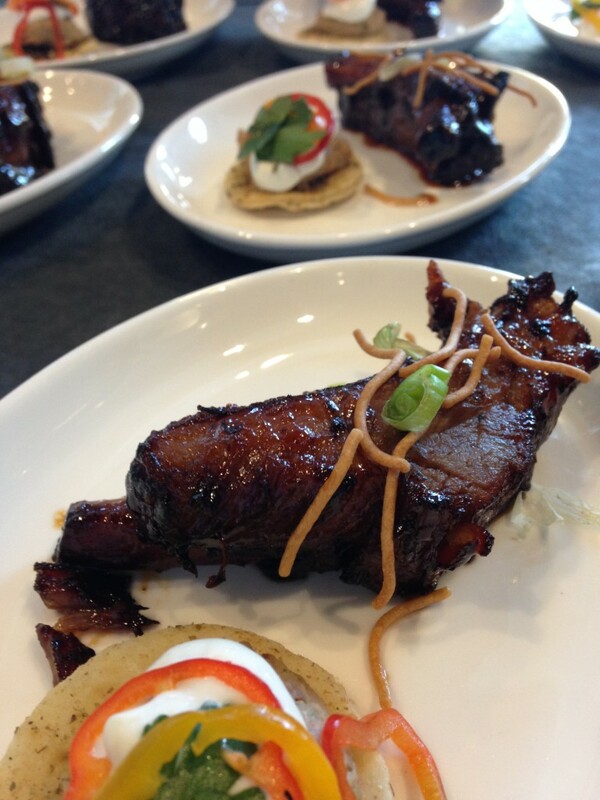 Though I don’t eat meat, I think my husband would’ve moved into Libby’s Café & Bar after he tried Chef Kyle Harrington’s Fried Sticky Asian Ribs with crushed crispy wontons. They were that good. What are you waiting for? Hurry and get to Sarasota if you’re not already there and enjoy fantastic dining and unbeatable prices!